Home Care in Kahala HI: How Does Celiac Disease Impact Your Parent’s Life? How Does Celiac Disease Impact Your Parent’s Life? May is Celiac Awareness Month. This genetic autoimmune disorder impacts only approximately 1 percent of the total population of the United States, but can have very serious and life-changing implications for those who have it. Experts estimate that approximately 83 percent of those who are living with the disease have not received a diagnosis or have been diagnosed incorrectly, putting them at risk of much more serious complications over time. By understanding how this condition impacts your parent, you can better develop a care routine that will help them to manage their needs while also supporting their pursuit of a higher quality of life as they age in place. It is important to note that while celiac disease is referred to as an “invisible disease” because the symptoms are rarely readily evident, the burden of this disease is high. People living with celiac often report that this disease negatively impacts their quality of life even more than other diseases such as diabetes, cardiovascular disease, and even irritable bowel syndrome. As a family caregiver it is important that you not only recognize the physical needs of your senior, including helping them to maintain a strictly gluten-free diet and lifestyle, but also their mental and emotional health needs as well. Show them support and encouragement. Do not belittle them or minimize what they are going through, and make efforts to adjust, adapt, and modify activities, events, and experiences so that your parent can participate fully while still handling their disease properly. If your aging parent has recently been diagnosed with celiac disease or you have been looking for ways to help them manage this condition more effectively as they age in place, starting home care for them may be the ideal option for improving their quality of life and supporting their health. 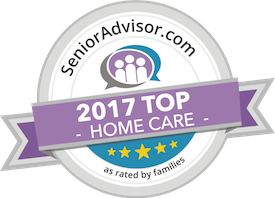 An in-home senior care services provider can be there with your aging parent on a customized schedule to ensure that their needs are met while also encouraging them to maintain mental, emotional, and physical health and well-being, while also helping them to stay as independent, active, and fulfilled as possible as they age in place. When it comes to celiac disease, this includes helping your parent to understand the issues that their disease entails and what they can do to manage it properly, as well as offering reminders to keep them compliant with any medications, guidelines, or recommendations offered by their doctor. They can also provide safe and reliable transportation to the grocery store to help them stock their kitchen with the foods that are right for their needs, get into the kitchen to prepare meals and snacks with them, and encourage them to choose the right foods throughout their care journey. Have questions about home care in Kahala, HI? Contact the caring staff at All Care Hawaii today. Call Oahu (808) 206-8409 or Maui (808) 664-3853. Call us 24 hours a day, 7 days a week!